Yesterday Mario and I spent some time working on both the ST and SE, fitting James Barone Racing (JBR) solid shifter bushings. They were inexpensive pieces which would hopefully improve the feel of the shifter, so we decided to give them a try in the cars. The true install, that is the removal of old and fitting of new pieces, was very simple and fast. It was the tear-down prior to and replacing all of the removed parts after that took the time (in total we were working for a handful of hours). We also may or may not have dropped a bolt and washer down into the recesses of the shifter and had to spend a lot of time hunting for them… Tip: don’t do that. Here’s one of the two kits; you can see the new solid bushings and washers which fit on top. This is the comparison with the factory piece (on the left). It consists of a metal sleeve surrounded by the rubber boot. 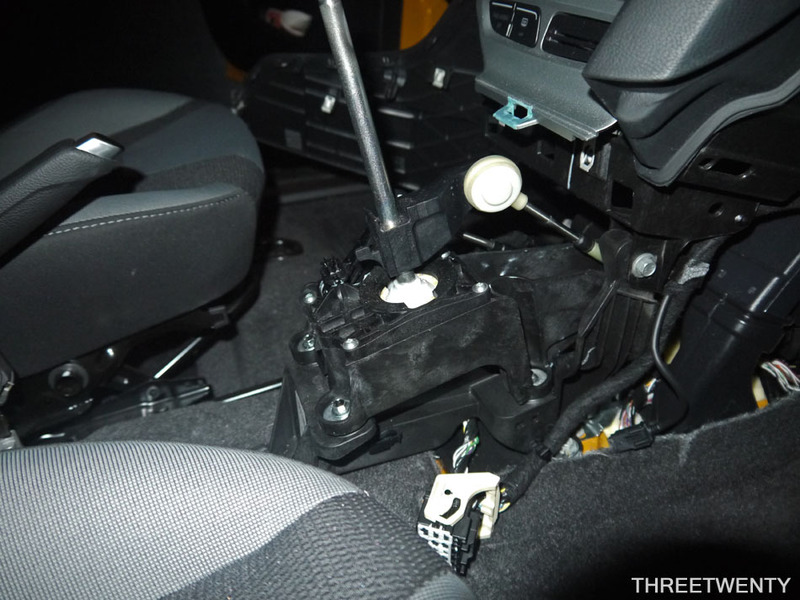 There isn’t too much room for it to flex but it was surprisingly soft; the JBR kit sees the shifter assembly get bolted directly – with no isolators – to the car. 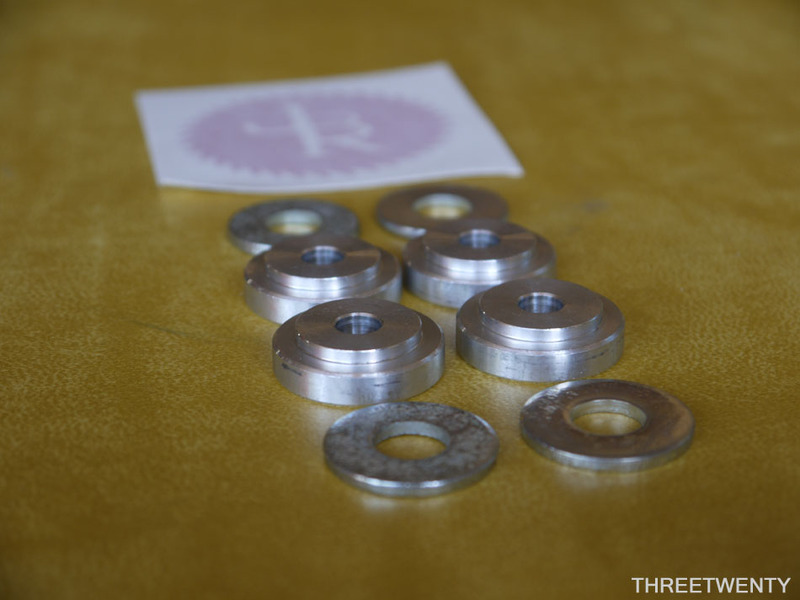 We noticed the JBR bushings were shorter than OEM, but it appears that the extra height is just due to the rubber and the metal sleeves are the same height as the JBR parts. As I said, it was the tearing down and putting back of the console that took the most time. The entire unit had to come out as you can see. It wasn’t too hard to remove, but having to tear apart so many clipped-together, plastic parts on relatively new cars can be a little scary. Fortunately nothing broke and everything lined up again afterwards. No rattles either, everything is back to the way it should be. Each car had four bushings, one of which is highlighted by the arrow. With the small bolt out the stock pieces were pried out and the new JBR bushings were put in place. Mario’s car was first on the agenda so by this point, when we were working on my car, it was getting dark outside. 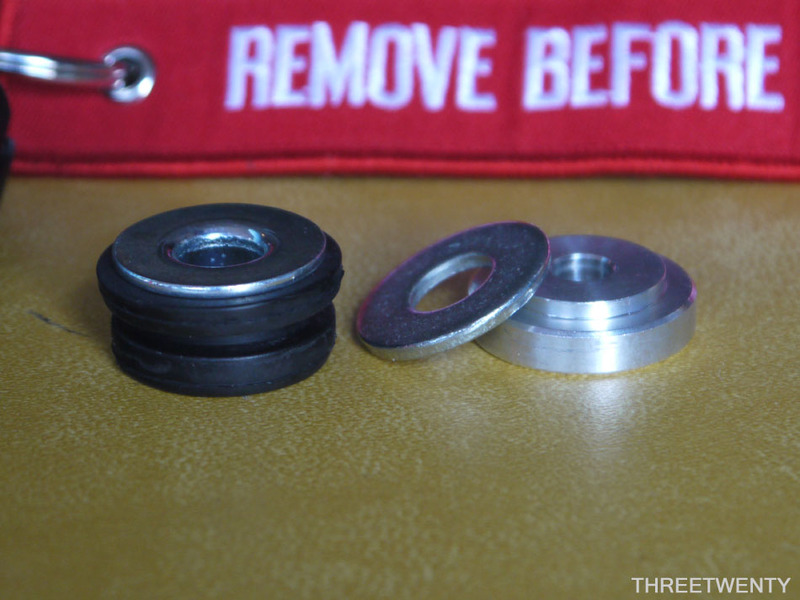 I had to resort to a harsh flash to get this last shot, which shows three of the four bushings. At the end of the night when he was leaving, Mario noted he felt the improvement immediately, and I definitely do as well after driving around today. 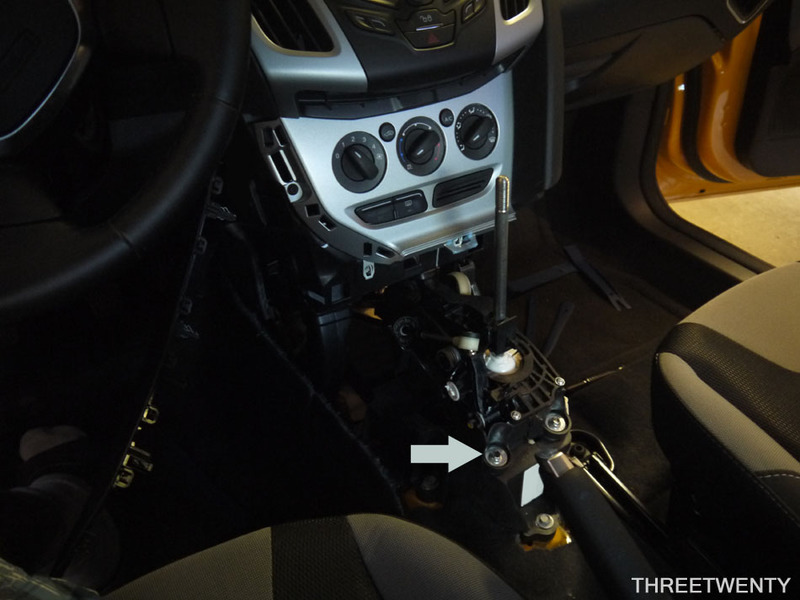 There are even better-defined gear changes now, with the shifter slotting into place with a more solid thunk. Worth the time and money? Absolutely. If you have a manual Mk3, you should buy these.